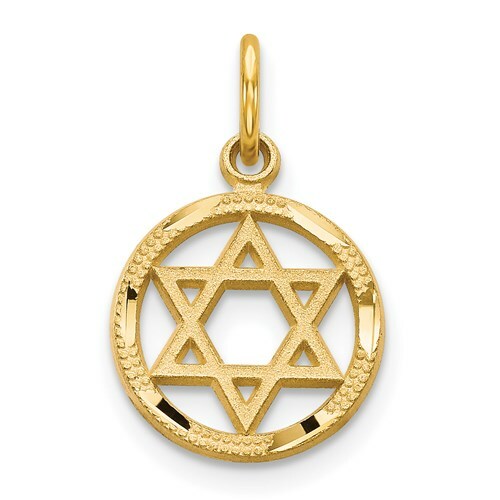 Polished 14kt yellow gold Star of David charm weighs 0.8 grams. Item measures 7/16 inch round without loop and bail. This item is half the size of a nickel.